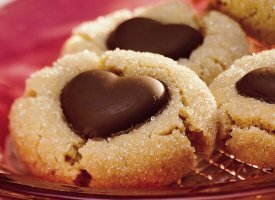 the Chocolate Heart Peanut Butter Cookies from Betty Crocker. They looked so good, I wanted to make a batch just to eat them all myself! ...but then we learned one of her classmates was allergic to peanut butter. We wound up making them for Mr. LH to take to work. Still working with the packaging idea, we thought some more. 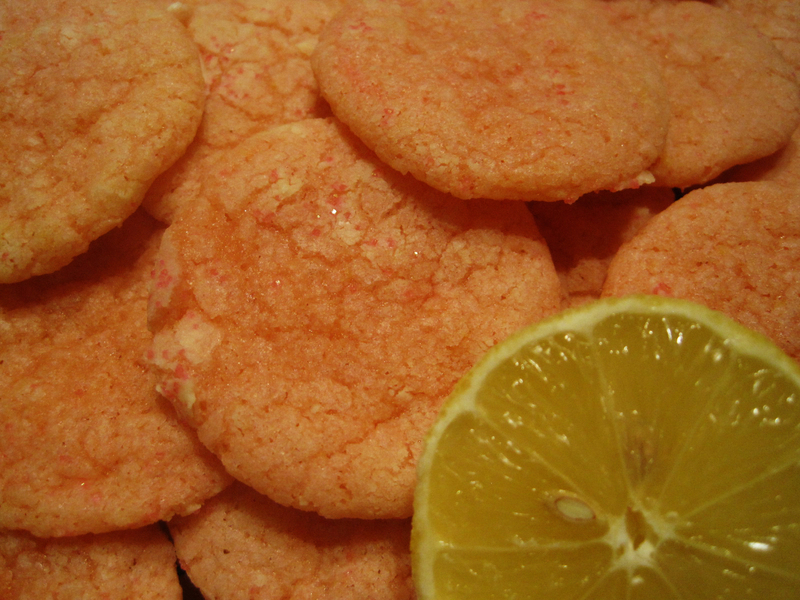 I didn't want to make sugar cookies but I did have a "contest winning lemon cookie recipe" I recently found and wanted to try...and I could color them pink...making Pink Lemonade Cookies! In a large bowl, cream butter and sugar together until light and fluffy. Whip in vanilla, egg, lemon zest, and juice. Add food coloring gel. Scrape sides and mix again. Stir in all dry ingredients slowly until just combined, excluding the powdered sugar. Scrape sides of bowl and mix again briefly. Pour powdered sugar onto a large plate. Roll dough into 3/4" to 1" balls. 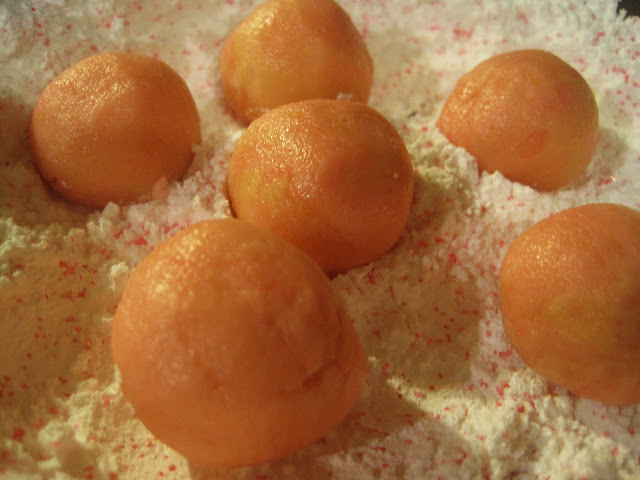 Mix powdered sugar and pink decorating sugar together. Roll dough balls in sugar mixture. Place on baking sheet and repeat with remaining dough. Bake for 9-11 minutes or until bottoms begin to barely brown and cookies look matte - not melty or shiny (this was about 10 minutes for my oven). Remove from oven and cool cookies about 2-3 minutes before transferring to cooling rack. The color shade was incredibly similar between the raw dough and the baked dough - except the baked cookies had a prettier pink to them (maybe from the pink sugar used?). These are at their absolute best as soon as the 3 minute cooling period is done. Even my anti-citrus boy loved these cookies! Don't be surprised if you find yourself standing at the oven shoving these in your mouth while they are still warm. It's hard to resist.